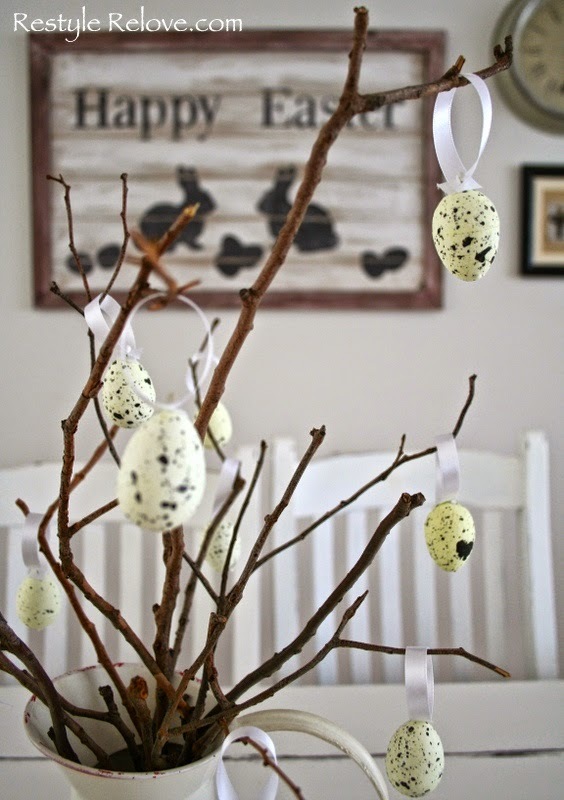 I wanted to put our Easter decor up today after being inspired by so many creative people, especially those who have been linking up to our Shabbilicious Link Party each week. 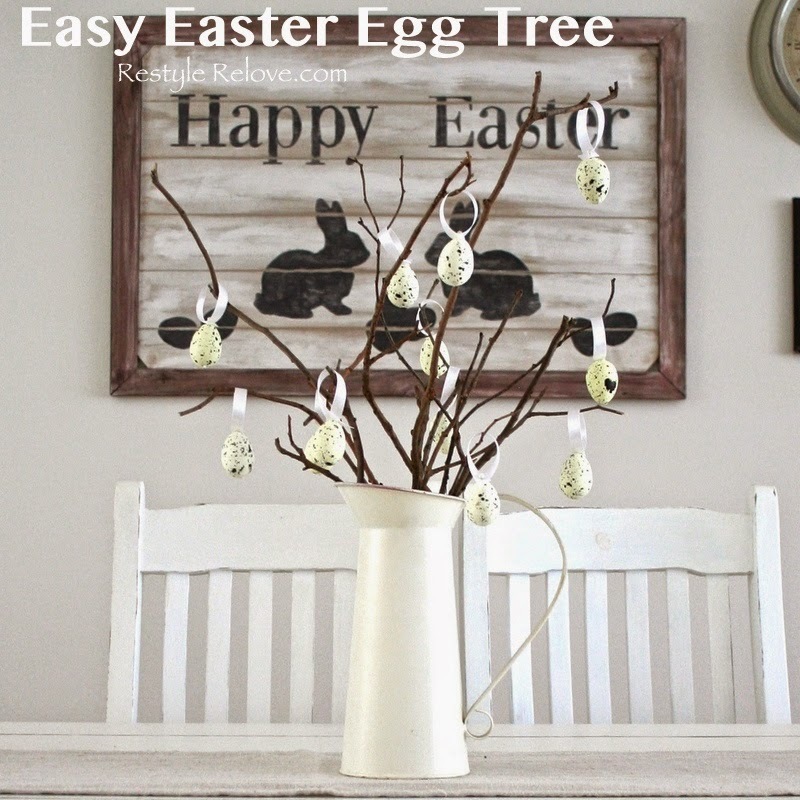 While I was decorating I was inspired to create a little something new, this Easy Easter Egg Tree. And it was really very easy. 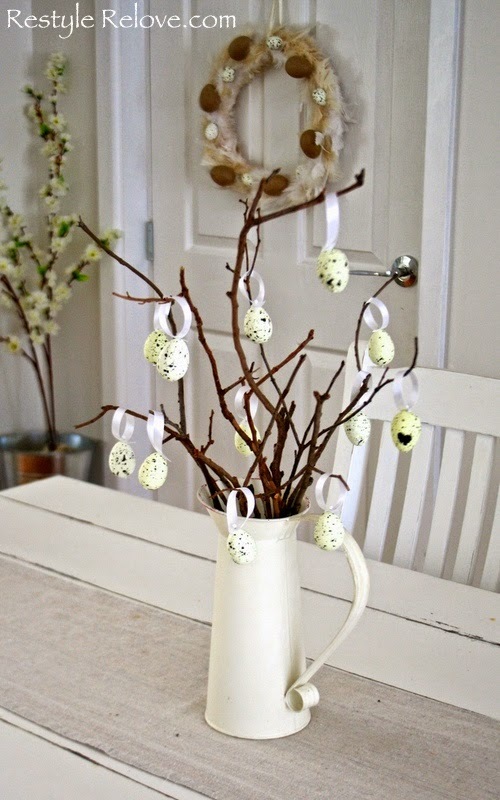 I walked out in the garden and grabbed some sticks and put them in a jug. 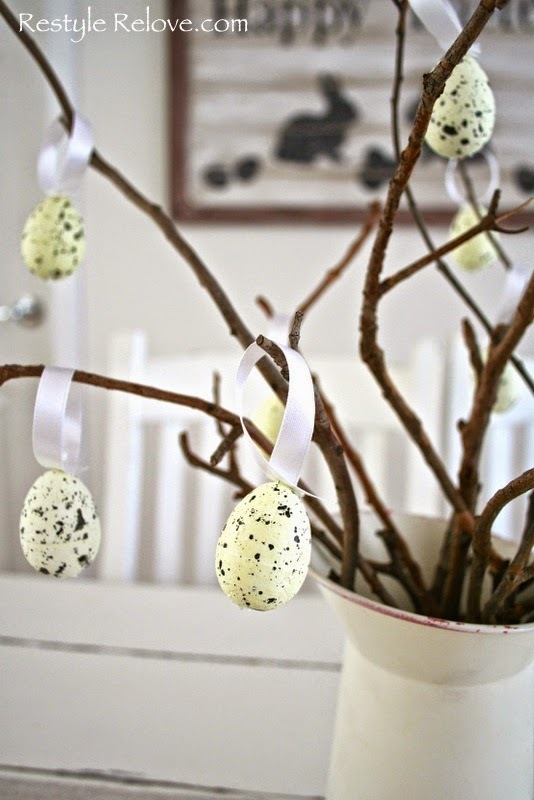 Then I used sewing pins to attach white ribbon hangers to the tops of polystyrene eggs I had from last year. 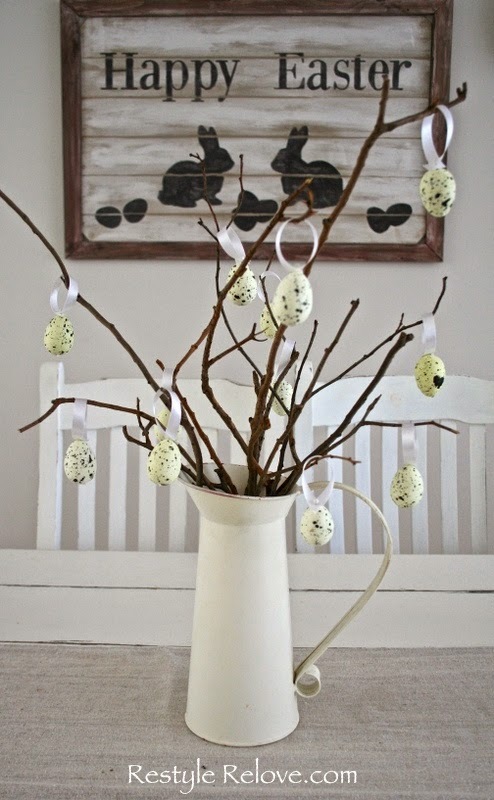 I hung them on the branches and we now have a simple but pretty Easter centerpiece. 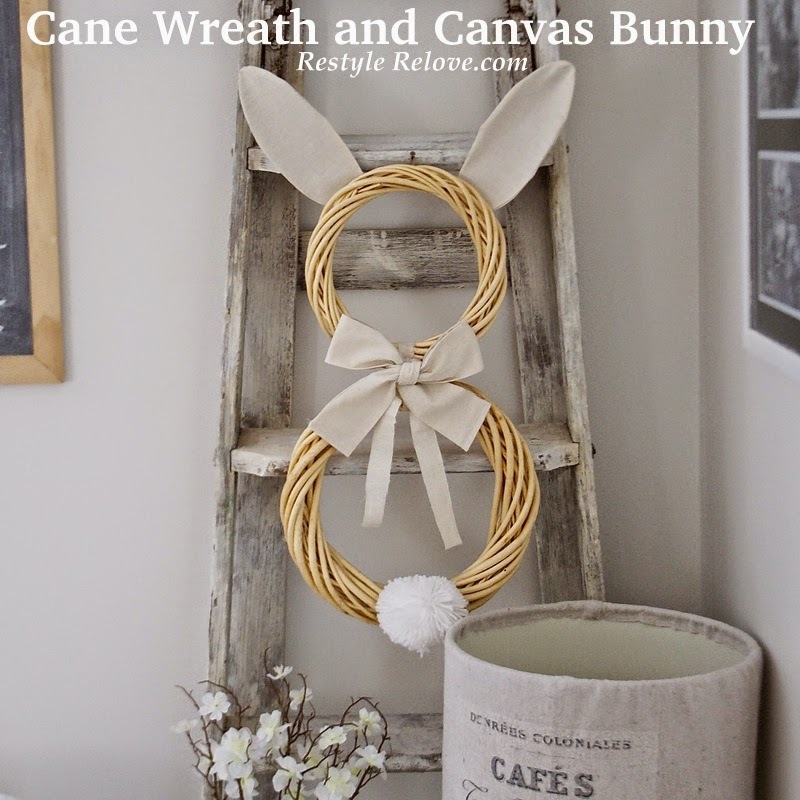 I'll be sharing some more decor shortly. 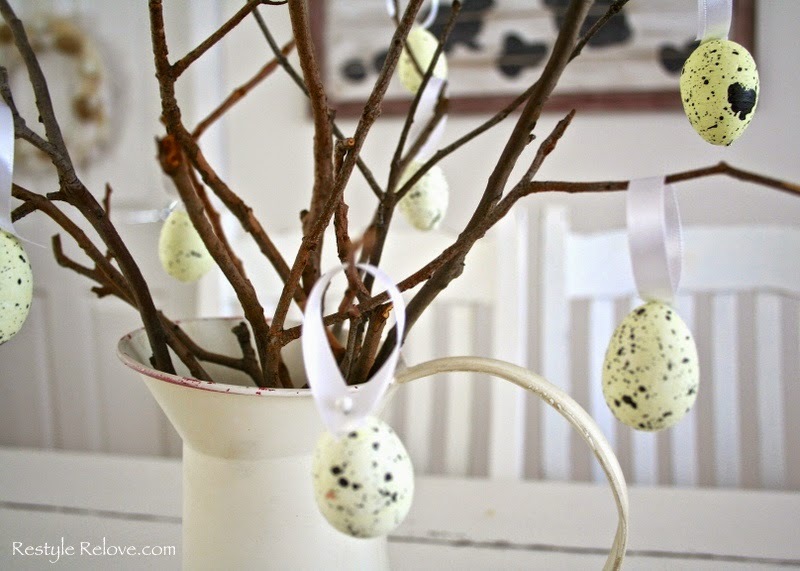 Lovely Julie-the eggs are darling!